This is the new slogan for our Bike MS team. My father-in-law passed away due to complications from MS, and this was back in the day when they didn't have any therapies other than, "try to make him as comfortable as you can." The ramifications of his illness on his family are evident even a generation later. Now, thanks to funding and research, there are eight therapies. Last year Gates' Gears received the Rookie Fundraising Award. We raised the most funds of any rookie team. Since we are no longer rookies, our fundraising goals have increased dramatically. To that end I want to share a couple of fundraising events. 1) On Friday, June 7th, I am cutting my ponytail and donating it to Locks of Love. I do this every two - three years. My grandmother always said I had no business having hair like this. It should be on a pretty girl. The minimum donation length is 10 inches. For every minimum donation of $25.00 to my Bike MS fundraising page, I'll add a centimeter to length. There are 2.5 centimeters in an inch. I'll keep adding centimeters until we reach the back of my head. 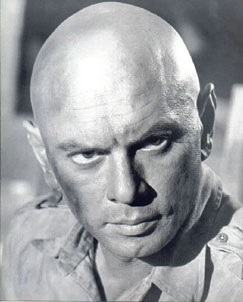 At that point there's only one place left to go--the Yul Brynner. That's right. If the total donated from June 3rd to June 7th reaches $750.00, I'll bic my head. Please, help me go bald. 2) Our Bike MS team is named Gates' Gears after my late father-in-law. Gates' Gears has teamed up with the Utah Youth Soccer Association to host a tournament on Saturday June 29th. 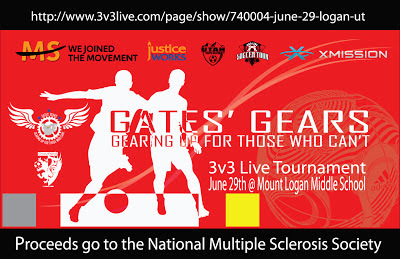 Go to www.3v3live.com to register. A portion of the entry fee will go toward the MS Society. 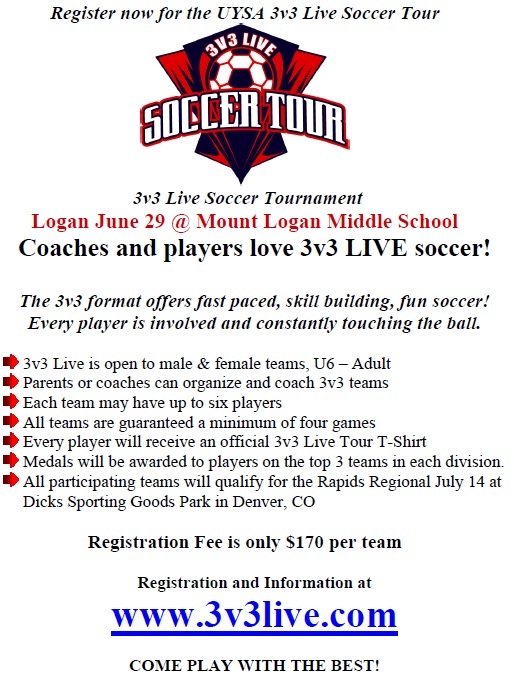 All participating teams will qualify for the Rapids Regional, July 14th at Dicks Sporting Goods Park in Denver, CO. Multiple Sclerosis is a disease that attacks the myelin sheath around our nervous system, which means it can attack pretty much any part of the body. There are commonalities for all who suffer from MS, but it affects nearly everyone differently, which is one reason it's so hard to treat. Utah has one of the highest rates of MS in the nation, with one in every 300 affected. Help us create a world free of MS.